Officially sanctioned by Granada Media and Portmeirion. We are delighted to be able to announce this event, a one-day celebration of Patrick McGoohan, Danger Man, The Prisoner, and Portmeirion, and hope that many readers of this website will attend - as of 1/8/2006 there are less than 10 tickets left, so don't delay - book today! The event is taking place on Sunday 13th August 2006 in the Hercules Hall at Portmeirion. Please find on this page all the information you need to know before emailing us to apply for tickets. If there is anything not included on this page that you'd like to know, please contact us. Ticket details and timetable of events are shown below. To give you a flavour of what to expect, visit the PM2005 review page. Event MC Dave Jones welcomes attendees and runs through the day's events, and details of the raffle and auction. The author of several "Prisoner" and "Danger Man" books and magazines updates us on his researching of both series. Producer Paul Smith introduces and shows the first of his double bill of "Prisoner" spoofs. A rare opportunity to see the series 1 episode "Under The Lake", starring Patrick McGoohan as John Drake. The episode features footage shot in Portmeirion. Rarely-seen behind-the-scenes footage from the 1966 Portmeirion "Prisoner" shoot. In-depth interview with "Prisoner" 2nd unit Cameraman Robert Monks, including an exclusive look at Robert's own collection of on-set photographs. Producer Paul Smith introduces and shows the second of his double bill of "Prisoner" spoofs. A rare chance to see an unreleased TV play starring Patrick McGoohan, not screened on TV for over 45 years. Howard Foy, author of "A Guide to Portmeirion", will usher attendees on a whistle-stop walking tour of Portmeirion's buildings and history. One of Patrick McGoohan's earliest TV appearances in a 1950s comedy series. Jane will talk at length about her career in the TV and Film industry, both in the UK and Hollywood, including her time on "The Prisoner" and "Danger Man". Dave Jones brings the day's official events to a close. Screenings of "Danger Man", "The Prisoner" and "The Adventures of Aggie" with kind permission of Granada Media. "Danger Man special edition" with kind permission of Umbrella Entertainment, with thanks to The AV Channel, Grant Taylor, and Jaz Wiseman. Prisoner Production stills gallery courtesy of Robert Monks. Please note all guests appear subject to work commitments. ACTRESS - "THE PRISONER" AND "DANGER MAN"
Ask most "Prisoner" and "Danger Man" fans their thoughts on their favourite actress from the series, and most will answer Jane Merrow AKA Alison in the "Prisoner" episode "The Schizoid Man". We are therefore delighted that Jane will be attending this event, and will be interviewed on-stage in the Hercules Hall by event host Dave Jones about her career. Jane trained at the Royal Academy of Dramatic Art and carved out a successful career in the UK before moving to Los Angeles in 1971. 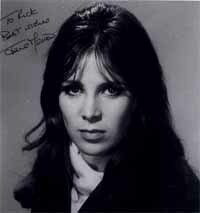 Jane was a regular on British television throughout the sixties, including adaptations of various classics such as "Jane Eyre", "Oliver Twist", "Lorna Doone", and "1984". Prior to working with Patrick McGoohan on "The Prisoner" she worked with him on three "Danger Man" stories: "A Date With Doris" from 1964, "A Room In The Basement" and "The Man Who Wouldn't Talk" from the following year. Jane was a regular performer within the ITC stable and as well as "Danger Man" co-starred in episodes of "The Saint", "The Baron", "Randall and Hopkirk (Deceased)", "Man in a Suitcase", "UFO", "Strange Report", "Gideon's Way" and the colour "Avengers" episode "Mission Highly Improbable". Other British television appearances include "Hadleigh" with Gerald Harper, and "Lovejoy" with Ian McShane. On moving to the States she mirrored her British success with appearances in such world-wide blockbusters as "Mission: Impossible", "Cannon", "The Six Million Dollar Man", "Magnum P. I. ", "Airwolf", "Hart To Hart" and "The Incredible Hulk". She has also had leading roles in films including "The Hound Of The Baskervilles" with James Stewart, "The Horror At 37,000 Feet", "The Patricia Neal Story", "The Phantom Of The Opera", "The Wild And The Willing", "The Night of the Big Heat", "Hands of the Ripper", and "The Lion In Winter" starring Katherine Hepburn, for which she was nominated for a Golden Globe award for Best Supporting Actress. She has also appeared in many theatre productions, on both sides of the Atlantic, including Eliza in "Pygmalion" and the one-woman show "Vivien Leigh: A Portrait". In recent years Jane has been involved in television and film production, as well as continuing her appearances on the small screen. CAMERA OPERATOR - "THE PRISONER"
Robert Monks' first experience of Portmeirion was before even Patrick McGoohan had set foot in the village. Robert was Camera Operator on the BBC series "Strange But True" and filmed at the site for an episode in 1958. Little did he know he would be returning 8 years later for a much more demanding project. Robert was 2nd Unit Camera Operator on the first 13 episodes of "The Prisoner". As well as work in the studio, he also attended both the September 1966 and March 1967 Portmeirion shoots (the latter handled exclusively by the 2nd Unit under the Direction of David Tomblin) and the initial London sequences shot for the opening sequence. 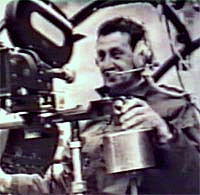 Along with many other scenes, Robert was particularly involved in the sequences involving Rover (including the ill-fated original mechanical device), and scenes involving the Alouette helicopter (indeed, Robert was bolted to the helicopter itself for all the aerial shots used in the episodes). After filming "The Prisoner", Robert returned to his native Ireland and continued to work in the industry in the roles of Camera Operator and Cinematographer, including winning the Berlin Silver Bear at the Berlin Film Festival for the short film "Flea Ceoil". Robert Fairclough is a freelance writer and researcher, whose books include "The Prisoner: The Official Companion", "The Prisoner: The Original Scripts", and "Sweeney! The Official Companion". 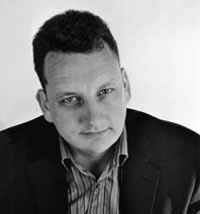 Robert was also consultant editor on the "The Prisoner: Official Fact Files" and "The Danger Man Collection" partwork magazines, and as a Director of Pop-co a Consultant on a vast range of ITC DVDs. Throughout his research he has amassed a vast array of anecdotes about the filming of the series from members of the cast and crew. Rob will update us about his work on these projects, and be on hand to sign these publications. Rare items of memorabilia have already been put aside for the charity auction and raffle. The auction and raffle available to non-attendees, as well as ticket holders, so even if you can't attend you could still win a much sought after item, and help contribute to the charity funds too! For more details on how to bid in the charity auction, click HERE. 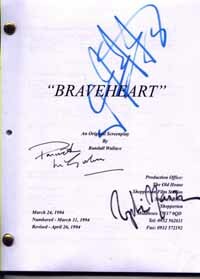 Items include a "Braveheart" script signed by McGoohan, Gibson, and Marceau (below), signed photos and books, a Dinky Mini-Moke, rare theatre programmes, and much more! Non-attendees can also purchase raffle tickets in advance of the event. Click HERE for more details. As well as the special guests and screenings, the timetable will also include other events which will be announced in due course. There will be a merchandise stall in the side room of the hall, and several displays including David Mackenzie's Lego Village, and props and sets from Paul Smith's "Prisonbear" films. Tickets for this event are priced at £15 per person. This includes entry to the Hercules Hall events mentioned above, but does *not* include the price of entry to Portmeirion. Thanks to Portmeirion, PM2006 ticket holders will, however, be allowed entry to The Village at a discounted rate. The event is non-profit making, and ticket prices will pay for guest expenses, and equipment/venue hire etc. Any profits from this event will be donated to our nominated charity, and full details of the income/expenses from the event will be published online. To apply for a ticket, please send an email to , stating your full name, postal address, the number of tickets you require, and the full names of each requested ticket holder. We will then reply with details on how to pay. Your details will not be sent to any third party, and will only be kept until the day of the event. Tickets are extremely limited in number, and there will be no provision for people to pay at the door. If you don't order a ticket in advance, you will not be entitled to attend. Tickets for PM2006 are nearly sold out so don't delay - book today! PLEASE NOTE: The ticket price does *not* include entry to Portmeirion, refreshments, or accommodation. If you are not a resident of Portmeirion on August 13th 2006, you are required to pay at the Portmeirion gate along with other day visitors. Your PM2006 ticket is for entry to the Hercules Hall events only. Thanks to Portmeirion, PM2006 ticket holders will, however, be allowed entry to The Village at a reduced rate. Ty Gobaith, a satellite unit of Oswestry's Hope House Hospice, is the only hospice in the whole of North Wales dedicated to the care of terminally ill children. Based in Conwy, it relies on fundraising and donations for 95% of its income. Built in 2003, its patron is internationally-renowned opera singer Bryn Terfel. We are delighted to be associated with this charity for this event, with all profits from the event going to the hospice. In 2005, we raised over £1000 for the hospice. Subject to cancellations, all self-catering accommodation in Portmeirion has now been filled for the weekend of this event. However, nightly rooms are still available in Portmeirion and should be booked by contacting Portmeirion directly. Click HERE to visit the accommodation section of the Portmeirion website. In the likely event that all Portmeirion accommodation will be filled long before the event, there are also, of course, a host of local hotels and B&Bs with available accommodation. Click HERE for a list of local accommodation. Please don't hesitate to contact us if you have any difficulties. TRAVELLING TO PORTMEIRION: Click HERE for directions/details regarding travelling to The Village. We apologise for having to include the following for what we hope will be an enjoyable and informal event. However, in the interests of avoiding any future misunderstandings we thought it best to include these. 1. Ticket price is for the Hercules Hall only, and does not include entry to Portmeirion, accommodation, or refreshments. Thanks to Portmeirion, PM2006 ticket holders will, however, be allowed entry to The Village at a reduced group rate. 2. Tickets must be applied for / purchased in advance unless you have received a direct communication stating otherwise from one of the event organisers. We are not able to accept any "pay at the door" attendees, due to the limited number of places available at the event. 3. The event organisers reserve the right to refuse tickets and/or admission to the hall for any reason. 4. Guests will appear subject to commitments. Should any guest withdraw, we will attempt to book a replacement but cannot guarantee the number or standing of guests attending. 5. Refunds will be given wherever possible should any ticket holder not be able to attend. In the event of a ticket holder paying by Paypal or Credit Card requiring a refund 30 days or more after payment, the refund will be deducted any fees charged to us by Paypal. 6. By entering Portmeirion, you are agreeing to abide by their rules regarding safety etc, including health and safety law relating to Hercules Hall capacity. If you are not a Portmeirion resident on August 13th 2006, you are required to leave the Village as soon as the PM2006 event closes, and must use the public car park and not bring your vehicle into Portmeirion itself. Please leave as quietly as possible for the consideration of other Portmeirion residents. 7. Our guests are not being paid to attend the event (apart from their expenses and accommodation) and, as such, are attending out of good will. Please reciprocate by not hassling them too much. We are sure that they will be happy to sign autographs, chat, or pose for photographs but please keep these requests polite and undemanding. Please also do not ask any guests for their private address/phone details. 8. PM2006 is a non-profit making event. Any profits will be donated to Ty Gobaith Hospice. Details of all the expenses and income from the event will be published online after the event. 9. This event is being held independently of any society, formal group, or fan-club, by the moderators and readers of The Unmutual Website and PrizBiz for the benefit of Prisoner, Danger Man, and McGoohan fans worldwide. We acknowledge the kind permission from Portmeirion Limited and Granada Ventures to stage this event. 10. Smoking is not permitted in the Hercules Hall (although is permitted in the Hercules Hall Bar). Flash photography and video photography is also not permitted in the main hall without our expressed permission. 11. Timetable and events subject to change without prior notification. 12. Any Screenings of copyright material will be non-theatrical and do not require ticket purchase to attend. This is, of course, subject to health and safety regulations with regards to capacity of the Hercules Hall. If you do not wish to purchase a ticket for PM 2006 but wish to attend screenings of copyrighted material please email us first. You will not be entitled to attend any other PM 2006 events, including interview panels, without a ticket. 13. Non ticket holders not Portmeirion residents will be required to leave Portmeirion by 5.30pm, only PM2006 ticket holders are entitled to stay in the Hercules Hall / Portmeirion until 10.30pm. 14. Those not intending to attend PM2006 may purchase raffle tickets, at a price of £1 per ticket. These tickets will be entered into the draw on your behalf by one of the event organisers. Any prizes won will be mailed to the winners not in attendance by post within 14 days. Non-attendees may also participate in the auction, and bid by confidential email. Bids winning as of 1/8/2006 must be accompanied by a preliminary payment by Paypal, which will be refunded if the bid is unsuccessful. 15. Any promotion of merchandise, websites, societies or anything else at the event, or the sale of goods (including magazines and fanzines) is not permitted unless you have written permission from us to do so. There may be a small charge for this, which will go towards event costs and the charity. 16. EVENT ORGANISERS: Rick Davy, Dave Jones, Roger Goodman. No responsibility can be taken for other individuals claiming to act on behalf of the event or the three organisers. Any information regarding PM2006 on the internet is not necessarily correct unless posted by one of the above three persons, or on The Unmutual Website or PrizBiz web pages.